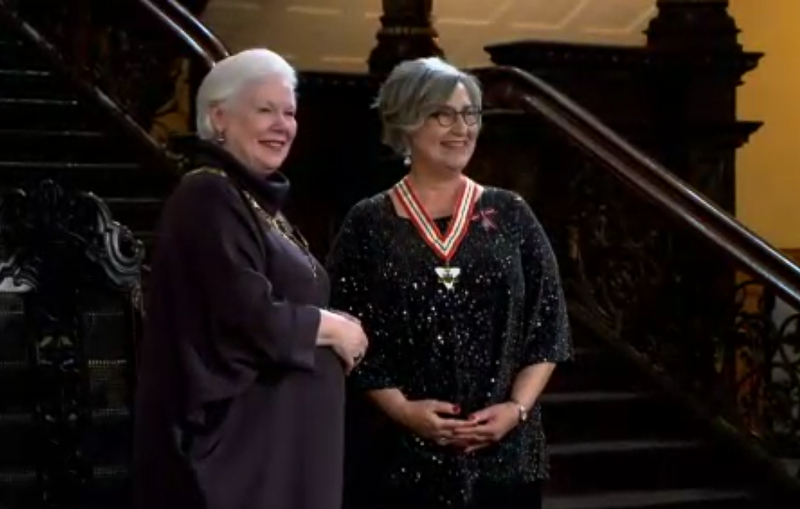 Queen’s University adjunct professor, clinical and correctional psychologist (Correctional Service of Canada) and mental health advocate Dorothy Cotton has been awarded the Order of Ontario, the highest citizen honour in the province. For more than 30 years, Dr. Cotton has been working with police organizations to help them change the way they respond to people with mental health challenges. She provides a variety of services to police organizations including pre-employment and fitness for duty assessments, program development, and research consultation. Dr. Cotton is also well known for her work in the area of police interactions with people with mental illnesses and received the Queen's Diamond Jubilee Medal for her work in this area. Dr. Cotton, who has taught at Queen’s since 1986, says one of her proudest accomplishments is developing the TEMPO model (Training and Education about Mental Illness for Police Organizations). It provides a blueprint for Canadian law enforcement officers to help them interact with people with mental health challenges in the field. She is Canada's only Diplomat in Police Psychology, an honour awarded by the Society for Policy and Criminal Psychology. Dr. Cotton has also worked extensively with the Mental Health Commission of Canada and with the Canadian Association of Chiefs of Police. She also talks about her work, in early 2000, that brought law enforcement and mental health professionals together in one room. The official Order of Ontario ceremony took place on Feb. 27. Dr. Cotton admits the whole process has been a bit overwhelming. Order members come from all walks of life, represent diverse professions, and have played an important role in shaping our province.